Our focus is to produce the best possible hand crafted wines with as little impact on the environment as possible. 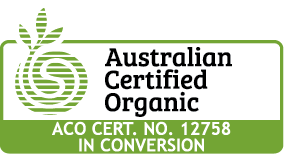 In time we hope to be granted a Certified Australian Organic producers status. This is a lengthy and detailed process which requires many years or organic farming management throughout our operation. As a result our wines are pure and free of contaminants which ultimately means the wines taste better and have no unnecessary additives which may be harmful to the consumer. Whilst we are all aware of the effects of too much alcohol how many of us consider what other toxins might be in your wines? Once you have tasted the cleanliness and purity of our wines its difficult to consider drinking anything else so this is why we reward our regular customers with the option of the wine clubs. The CHURCHVIEW ESTATE CLUB is a free membership with no obligation to buy. Simply provide us with your name, email address and telephone number and you will receive special offers periodically, without any obligation to buy. You will also qualify for a discount on all our Silverleaf and Estate Range wines when purchased by the dozen (case) directly through the cellar door or online. You will also benefit from free delivery within Australia subject to a minimum order of $200. The only requirement is that you are legally able to purchase alcohol and you reside in Australia. Some describe the CHURCHVIEW ESTATE CLUB as a mailing list on steroids. THERE IS NO OBLIGATION TO PURCHASE EVER….. which kind of makes this a no brainer! The CELLAR DOOR VIP CLUB is for regular consumers and collectors of both the St Johns and The Bartondale wines which we offer directly from the cellar door. This membership is for those of you who prefer the finer things in life. There is no membership fee. To qualify you will purchase 3 cases (total 36 bottles) of St Johns and/or Bartondale wines every 12 months. You can choose which wines you wish to receive and enjoy the flexibility of regular automated shipments or purchase as you wish. You will receive your wines at a discounted price. 30% discount on all St Johns wines and 20% discount on all Bartondale wines (some lines may be excluded). Included is free delivery within Australia (minimum purchase of $200 otherwise a fixed $20 shipping fee will be added). You will also have access to the Silverleaf and Churchview Estate Range wines at discounted prices should you wish to add these to your order. You will be showered with special offers, back vintage wines, special release wines and museum wines. You will also have direct contact with our Cellar Door manager, Denys St Pierre, who will become your personal Churchview sommelier to advise you on your purchases, inform you of special release wines, provide up to date news on the developments at Churchview Estate and answer any questions you may have relating to our wines. * some limited release wines may not be offered with a discount. To qualify you must reside in and be legally able to purchase alcohol, within Australia. You must provide us with your name, telephone number, email address, delivery address (PO box accepted) and payment details (Mastercard or Visa only). You must also agree to purchase the minimum quantity of wine every 12 months. Join up now by signing up below, or call 08 97557200.